At 1:50 into the video, Ms. Coleman is prompted by the puppeteer seated behind her and immediately clarifies that she is tasked with overseeing the Federal Reserve Board's delegated functions for the reserve banks as well as the Board's oversight and supervision of the reserve banks, not the reserve banks' specific activities. Maybe next time Congressman Grayson can ask Ms. Coleman about her jurisdiction over the CORRUPTION and CRONYISM inside the most powerful central bank on the planet Earth. The concluding message of """ systemic """ fraud is given LOUD and VERY CLEAR ! Black only forgot one thing : The toxic waste (systemic fraud) was distributed (and ingested) worldwide ! It is now a matter of global incompetance and fraud collaboration...for the sake of private profits. That's WHY the club got away with this systemic fraud. Very cleverly (schrewdly) engineered, indeed. The most difficult part in this ongoing process will be "the blaming". Once dollar hegemony will collapse, the future will belong (the future does thus already belong) to those who can demonstrate their creditworthiness with their gold (hiding in oil) collateral. Our Masters are still able to prevent this because we are still living in a fraudulent world of unbacked paper money and fractional-reserve banking. Because some people have been over-confident in what they could achieve with money or how they could achieve more money and others have abused the sheeple’s confidence through issuing unbacked paper money or through banking on a fractional-reserve basis, confidence is collapsing. “La confiance fait défaut”, allow me to translate this as “confidence is defaulting”, because unbacked paper money and fractional-reserve banking are fraudulent. The need therefore arises for a protection against this default. In order to continue to instill confidence in other people, you need a universal collateral (gold (hiding in oil)) which demonstrates your credit-worthiness. The bigger you are, the more gold collateral you need. 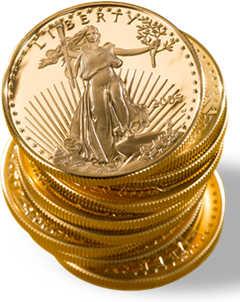 But the value of this gold reserve collateral must be valued continuously. And that’s where the shoe pinches. The global imbalances between trade surpluses (Asia) and trade deficits (the West) continue to grow. Yes, of course there are global imbalances, there is no more standard to balance imports and exports and therefore our Masters need a New Bretton Woods, which does longer exist since 15 August 1971, when US of A president Richard Nixon unilaterally broke it. Bretton Woods linked the said dollar at fixed parity of 42 something dollar to an ounce of gold and all other currencies to the dollar. Nixon said njet! The manipulation of the price of gold has arrogated to itself the function of balancing imports and exports. As price of gold has been raped, it can no longer fulfil its function. How will we achieve a honest valuation of gold? They want to devise a new straitjacket like Bretton Woods and they think that that will avoid the total collapse. Even the Gulf states seem therefore prepared to unpeg or depeg their currencies from the US of A dollar. They are thereby displaying that they also realise that dollar hegemony will end soon. Once the Dollar International Financial and Monetary System will collapse, manipulation of price of gold (to support that System) will have come to an end and the future will belong (the future does thus already belong) to those who can demonstrate their creditworthiness with their gold (hiding in oil) collateral. Just like in 1913, 1933 and 1968-1974, this will bring about a gold revaluation. Our Masters are trying to prevent this with what they call quantitative easing, or euphemistically credit easing, both of which used to be called credit expansion until nine months ago. Their attempts are doomed to fail. If our Masters would immediately recognise this failure, the price of gold would explode. Our Masters are still trying to prevent this. They are still able to prevent this because we are still living in a fraudulent world of unbacked paper money and fractional-reserve banking. Here is one more reason the Fed must go! It is full of incompetent governance and oversight, cronyism, corruption, and now theft.